Since Horace’s original, many poets have written their version of an Ars Poetica. The best known is Archibald MacLeish’s. Can MacLeish’s poem cast light on the art of a different literary genre, the essay? und Gewerbe, Hamburg, Germany, February 2011. When I first read it, years ago, Archibald MacLeish’s poem “Ars Poetica” made a strong impression. Repeated rereadings have confirmed my high opinion of it. I warm to the series of images he crafts with such commendable economy of phrase. They’re at once striking, tentative, and haunting. Of course, his word-pictures don’t define the art of poetry—nor are they meant to. In part they exemplify it; in part provide a warning that such an art eludes straightforward setting out in words. How does the poem stand in relation to its classical namesake? Is it intended as a distillation of, a critical reflection on, an elegant thumbing-of-the-nose at, or a contemporary alternative to Horace’s work of the same title? Does MacLeish’s “Ars Poetica” come closer to ignoring or offering a tribute to its famous predecessor? Plotting out the similarities and differences between a 476-line Latin poem written in the first century BCE and a 24-line twentieth-century English one is something I’m happy to leave to scholars. I likewise want to sidestep three other potentially fascinating tasks: assessing the influence of Horace’s guidelines on the history of poetry; engaging in the kind of close textual analysis that might plumb the subtleties of MacLeish’s meaning (bearing in mind his assertion that “A poem should not mean but be”); and exploring the extent to which the idea of an ars poetica is a kind of universal trope that can be found across the world’s literatures—how similar are, say, MacLeish’s poem, Pablo Neruda’s “The Poet’s Obligation,” and Judith Ortiz Cofer’s “The Latin Deli: An Ars Poetica”? What might a comparison of Horace’s “Ars Poetica” and Lu Chi’s “Wên Fu” yield? Such avenues of inquiry are intriguing, but I’m not going to venture down them. Instead, I want to focus on a much more tightly circumscribed exercise—using MacLeish’s “Ars Poetica” to say something about a different genre: the essay. I’m an essayist, not a literary critic. My main concern is to write essays, not analyze and discuss them. But it’s hardly surprising, several books of essays down the line, that I’ve become interested in the form itself. What exactly is an essay? Is it possible to provide a statement of the art involved in writing one? Horace’s original Ars Poetica repays careful reading. It contains much that remains relevant—for writers of any genre. It’s an engagingly unsystematic work, more conversational than critical in tone. Written as a letter to Lucius Piso (a Roman senator) and his sons, albeit a letter in hexameter verse, the epistolary style helps take the edge off any didacticism. The presence of a few eminently quotable lines—some of them (like “in media res”) nicely applicable to the essay—adds to the poem’s appeal. But Horace’s regard for tradition—his emphasis on convention, the manner in which discipline and continuity are urged—makes his Ars Poetica ill-suited as a touchstone for thinking about the art of the essay. Essays still buy into the risk and freedom implied in that original meaning, rather than giving their allegiance to a set of rules. Constraint, conformity, obedience to authority—such things are anathema to essayists. For Montaigne—who laid so many of the foundations of the genre—an essai was a trial, an attempt, an experiment. Essays still buy into the risk and freedom implied in that original meaning, rather than giving their allegiance to a set of rules. As such, MacLeish’s approach—impressionistic, relying on the redolence of images rather than anything overtly regulatory—seems a more promising model than Horace’s. Of course, MacLeish is by no means the only modern poet to have penned an ars poetica. József Attila, Norman Dubie, Heltai Jenő, Jana Prikryl, and Dorothea Lasky are among those who have written poems with this title. Czeslaw Milosz might also be included—though his addition of a strategic question mark needs to be stressed. Many others offer what is essentially an ars poetica, even if the work in question is differently entitled (e.g., Marianne Moore’s “Poetry,” or Sharon Old’s “Take the I Out”). While it would be interesting to examine how any of these statements on the art of poetry might be applied to essays, it is MacLeish’s poem on which I wish to focus. To presume that the essence of the art of essay writing could be laid out definitively by any essayist would suggest both arrogance and ignorance. The genre has flourished for centuries across many cultures. Its diversity and scale should make us suspicious of any attempt to contain it within the distillation of one set of principles. What follows is not intended as a manifesto for essays in general—such a thing would soon be rejected by this least rule-governed of literary forms. Rather, it’s an attempt to say something about my understanding of an art that I’ve been working at for years. I’ve no desire to set up some kind of normative model; that would be absurd. I simply want to outline what I think essays are (and what they’re not), confident in the knowledge that other essayists will have quite different points of view. Memory is often mined—sometimes for the raw ore of reminiscence, but more often to smelt and refine it into forms that address the texture of the present. Since I’m using MacLeish’s “Ars Poetica” as a set of flints to spark ideas, it seems appropriate to interweave my reflections between the lines of his poem. I realize that my words will appear clumsy beside his beautifully drawn images, composed with as light a touch as a Chinese watercolor. But to use “Ars Poetica” as essential scaffolding without letting it appear would seem duplicitous. Quoting MacLeish in full also provides a guarantee of worthwhile reading—whatever the merits of my comments on the essay, readers will have the opportunity to become acquainted (or reacquainted) with a first-rate poem. An essay shies away from “should.” It’s individual, independent; unpredictable in terms of subject, length, and mood. 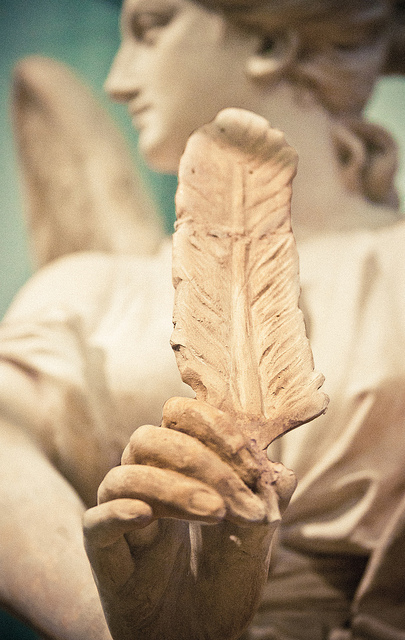 An essay relies on words to fly. It uses them to trace around the heart of things, attempts a kind of verbal electrocardiogram of what it finds there. An essay can range widely over time. It may fix on the present moment or, in a matter of sentences, move centuries away. “Twig by twig” hints at the way in which little things catch the essayist’s attention and how they lead, inexorably, beyond themselves. An essay strives for honesty, knowing all the while the difficulty of truth-telling. The fact is that words don’t fit the world precisely, and those who select them always do so influenced by the alchemy of who they are. Absolute accuracy is a chimera haunting the space between what’s in the heart and what’s written on the page. Essays look for doorways everywhere, often in unlikely places (including grief); sometimes they discover them, sometimes they create them. It’s hard to imagine anything about which an essay might not be written. A maple leaf could certainly constitute an essayistic doorway—something apparently ordinary through which a reader might be led into unexpected realms. Essays kindle wonder in the heart of the workaday; they help us undrape the camouflage of the mundane and see the beauty of being hidden naked beneath it. Essayists once addressed grand, heroic themes—“On Love,” “On Death,” “On Beauty.” Most of those now working in the genre view such attempts as obsolete, likely to issue in little more than vacuous generalities. Today, essays tend to focus on more limited objects and experiences; they’re rooted in a time, a place, a person. They avoid breezy abstractions and instead direct their gaze to what can be learned from individual instances. The wind leaving traces of its invisible tonnage etched into the angle of grass stems, lights from a solitary cliff-side cottage splintering the dark—twenty-first century essays would anchor in such particularities whatever they had to say about “love” (or “death” or “beauty”), instead of tackling such topics head-on. An essay shies away from “should.” It strives for lyricism, but the music of the words is not enough. Horace famously insisted that poems should “instruct and delight.” Might that double purpose serve an essayist too? Essays certainly aim to mean—but not in the manner of an article, where the individual voice is tethered and where instruction can edge into a sermonizing insistence ballasted with the kind of bullying deadweight of facts that crushes anything poetic. Essays cleave more to the evocative than the evangelical. Delight is found in the precision of the language used. Theodor Adorno argues that the essay “thinks in fragments just as reality is fragmented.” Georg Lukács suggests that the essay can “calmly and proudly” set its fragmentariness against what he terms “the petty completeness of scientific exactitude.” R. Lane Kauffmann talks about “the historical conflict between fragmentary and totalizing modes of thought—between the essay and the system.” Lydia Fakundiny notes how the essay “steers away from conventionally ordered sequences of elaboration,” that it “obeys no compulsion to tie up what may look like loose ends” and “tolerates a fair amount of inconclusiveness and indeterminacy.” The form’s “tolerance for the fragmentary” is precisely one of the qualities that, according to Philip Lopate, “make it uniquely appropriate to the present era.” Along similar lines, Walter Benjamin pointed to the essay’s “art of interruption” compared to the “chain of deduction” typical of other discourse. Although essays strive for completion within the boundaries they set themselves, although they make efforts to ensure an intrinsic integrity and apply the high polish of composition that’s suggestive of something painstakingly crafted, there’s no disguising the fact that—as this chorus of experts attests—they are a fragmentary form. I’ve come to think of essays as dealing in the shrapnel of being . . . extrapolating from the shards that create a life reminders of the incredible milieu in which they and it are embedded. I’ve come to think of essays as dealing in the shrapnel of being, turning over now one piece, now another, carefully running the fingers of their prose along the edges, testing for sharpness, looking for hints of connection, feeling for the cut-off remnants of joints, trying to reconstruct a sense of setting, context, contiguity; extrapolating from the shards that create a life reminders of the incredible milieu in which they and it are embedded. It may be old medallions, lights above the sea, maple leaves, night-entangled trees, or mossy casement ledges that catch an essayist’s eye, as they catch a poet’s, but the former’s art looks for connections, explores interrelationships, constructs a matrix of associations, memories, and meanings, poses questions; while the latter’s is more attuned to the immediate cadence that the things themselves lay upon the senses. Noel Coward likened footnotes to the doorbell ringing when you’re in bed with someone. Few people welcome such interruptions (though as Joseph Epstein wryly observes, it all depends who’s in the bed and who’s at the door). Essays tend to eschew footnotes, not just because they force a kind of coitus interruptus on readers, but because they’re viewed as unnecessary encumbrances. Mostly, I share that view. But it seems appropriate in this piece—as much a meta-essay as an essay—to ring the doorbell once in order to identify the voices I’m quoting on the key topic of the essay’s fragmentariness. Theodor Adorno’s “The Essay as Form” is in New German Critique 32 (1984), 151–71 (tr. Bob Hullot Kentor & Frederic Will). My first quotation is from page 164, the second from page 162. Adorno’s reflections on the essay remain essential reading for anyone trying to pin down the nature of this mercurial form. Some of his characterizations have the gnomic suggestiveness of graffiti. For example: “luck and play are essential to the essay” (152); “the essay shies away from the violence of dogma” (158). He suggests that the essay proceeds “methodically unmethodically” (161), that it “verges on the logic of music” (169), and that “the law of the innermost form of the essay is heresy” (171). Such pithy apothegms repay careful reflection. Georg Lukács’s remark can be found in “On the Nature and Form of the Essay,” in Soul and Form, tr. Anna Bostock (MIT Press, 1974), 17. On the same page Lukács makes his famous claim that “were one to compare the forms of literature with sunlight reflected in a prism, the writing of the essayists would be the ultraviolet rays.” Lane Kauffmann’s “The Skewed Path: Essaying as Unmethodical Method” is included in what remains one of the most compelling collections of reflections on the nature of the genre, Alexander J. Butrym, ed., Essays on the Essay (University of Georgia Press, 1989). My quote is from page 232. (Alongside Butrym’s collection, it’s interesting to read Carl H. Klaus and Ned Stuckey-French, eds., Essayists on the Essay: Montaigne to Our Time [University of Iowa Press, 2012].) Lydia Fakundiny’s The Art of the Essay (Houghton Mifflin, 1991), contains what I regard as the best short introduction to the nature of the essay. My quote is from page 17. Philip Lopate’s comment is made on page l (i.e., 50) of his preface to The Art of the Personal Essay: An Anthology from the Classical Era to the Present (Doubleday, 1994). Walter Benjamin’s comment is quoted by G. Douglas Atkins in Estranging the Familiar (University of Georgia Press, 1994), 54. Atkins’s title deftly identifies an important characteristic of the essay. 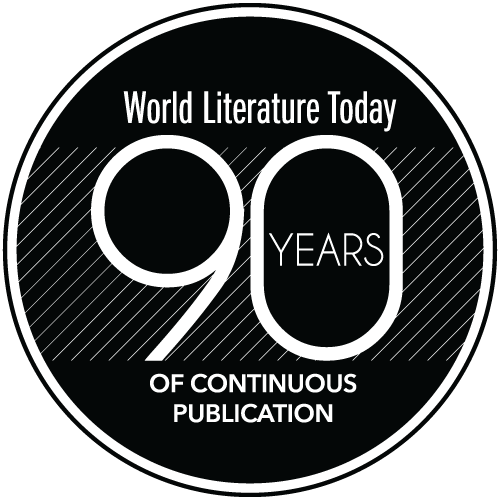 Editorial note: For more on the essay, read Robert Con Davis Undiano’s “Back to the Essay: World Literature Today in the Twenty-First Century,” World Literature Today 74, no. 1 (Winter 2000): 1–5.